What does the expression “cancer survivor” mean to you? Different people mean different things when they use the term, and I’m still pondering which if any of them describes me. 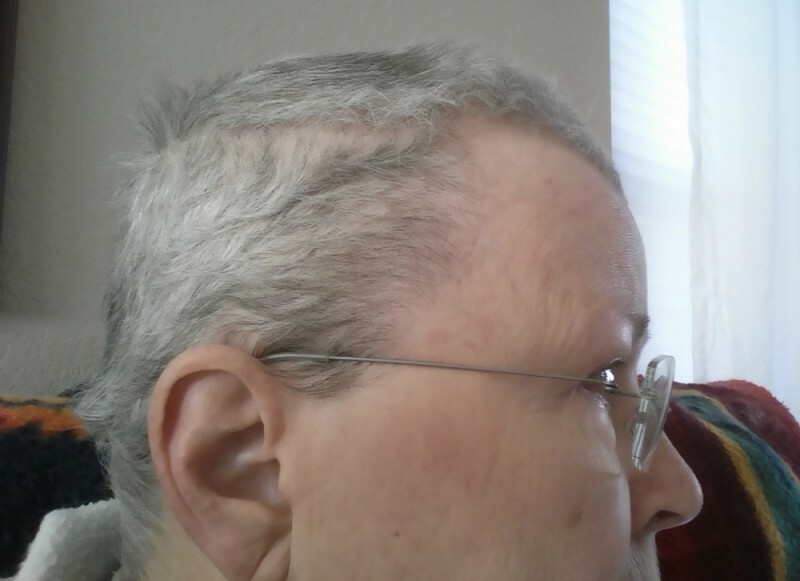 Many cancer patients want to know how fast their hair will grow back after chemo, so I thought I’d post a progress photo. This is what my hair looks like now — exactly four months and one day after my last chemo treatment, or about three and a half months since I shaved it down to 1/4″.